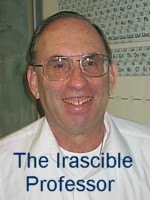 The Irascible Professor-commentary of the day-04-12-13. "Kicking 'The Catcher in the Rye' out of the curriculm." "Literature is the art of writing something that will be read twice; journalism what will be read once." ....Cyril Connolly. Commentary of the Day - April 12, 2013. Kicking The Catcher in the Rye out of the Curriculum. Guest commentary by Sanford Pinsker. I was saddened to learn that there is a plan afoot to pull J. D. Salinger's The Catcher in the Rye, along with classic novels such as Harper Lee's To Kill a Mockingbird, from the US high school curriculum. Why so? Because, as the new thinking at the Common Core State Standards would have it, "informational texts" matter more than does creative writing. The result is that, in 46 of 50 states, it will be compulsory that 70% of the books studies in high schools be non-fiction. Moreover, they tell us that these changes will be implemented by 2014. The new educational standards have the backing of the National Governors' Association and the Council of Chief State Officers. That, as they say, is a real bureaucratic double whammy. In short, these guys got muscle. And to thicken the plot even more, part of this effort was funded by a grant from the Bill and Melinda Gates Foundation. At this point let me weigh in with a hearty "Not so fast!" As someone who has defended The Catcher in the Rye from efforts at censorship (e.g., It contains a 'dirty word,'" or is filled with "morbid ideas"), both in high school classrooms and outside them, I bow to nobody in efforts to give a disturbing novel its due. But the present case for kicking Catcher under the bus is different and doesn't give a fig about what words are, or are not, scrawled on the blackboard. Rather, this is a war about what high school students should read and think about. As the people at the helm of the new "Common Core" argue, the job of education is to give students the skills they'll need to get a job after graduation. And to accomplish this, the new curriculum will include readings from such government documents as "Recommended Levels of Insulation" or "Invasive Plant Inventory." It takes no imagination whatsoever to imagine how these passages will produce brain dead, tone-deaf students. At this point let me hasten to add that I have no quarrel with non-fiction but we are not talking about the work of essayists such as James Baldwin or Annie Dillard. The problem, I can hear some bureaucrats whispering, is that such stuff makes students think rather than focus on factual matters and developing a concise, unambiguous style -- which, they remind us, are just what employers are looking for. In a sour economy, it is hard to argue with the well-meaning folk at "Common Core." But the sad truth, one even sadder than seeing Catcher booted out of the curriculum (after decades to get it inside) is a bit like trying to teach a pig how to sing opera: you can't do it, and the pig will only get annoyed. No doubt some of our students will end up reading and writing government documents and I join with those who hope that such pamphlets are clear, more readable, and finally, more effective. But this is very different work from teaching high school students how to read and enjoy fiction. In business -- and I say this as somebody who has taught accountants how to write more effectively -- what matters is the bottom line. Anything that helps is rewarded; anything that hurts is rooted out. By contrast, our students are human beings who need to understand what "becoming fully human" really means. And it is here I would argue that Shakespeare and Melville and, yes, even Catcher has a role to play. To reduce the amount of fiction that students read is to reduce their exposure to verities (e.g., the inexplicable relationship between beauty and truth) you can never discover in paragraphs about: "insulation" or "plant inventories." Of one thing I am sure: no matter how much fiction students read and discuss in classrooms, they need to read more -- and that is where "lifelong learning" kicks in. At their best, classrooms provide the inspiration and the preparedness that curious students take into the world after graduation; at their worst, classrooms bore and crimp and stifle. My wife, a former high school teacher, assures me that my worries about the slow, steady death of fiction in the proposed Core Curriculum are probably exaggerated. State educators are not likely to go along with efforts to undermine liberal education. Nonetheless, I think that raising alarms is what humanists at every grade level from junior high to college should do. Otherwise, we'll all to be sitting around reading essays on the fruit fly in Southern Utah or how to best clean a chimney flue. The Irascible Professor comments: Well said Sanford! The Catcher in the Rye, which is regarded widely as one of the best novels of the 20th century ought to have priority in the high school curriculum over the dreary prose of government pamphlets. In addition, the Pulitzer-Prize-winning To Kill a Mocking Bird should be read by every high school student.